The texture is quite different too. Rather than a dense cake, this batter results in a lovely fluffy and moist cake. Pre-heat oven to 180°C (350°F). Grease and flour a 34x24cm (12″x9″) baking tray. In a food processor, grate carrots, then change the blade, add in the eggs and oil and beat until smooth. Pour mixture into a bowl, add the dry ingredients and fold gently. Pour mixture into prepared tin and bake for about 30 minutes or until a skewer inserted in the centre comes out clean. In a saucepan, stir cornflour into milk, add the other ingredients and take it to a medium heat. Let it boil until you start to see the bottom of the pan. Remove from heat and apply whilst it’s still hot. 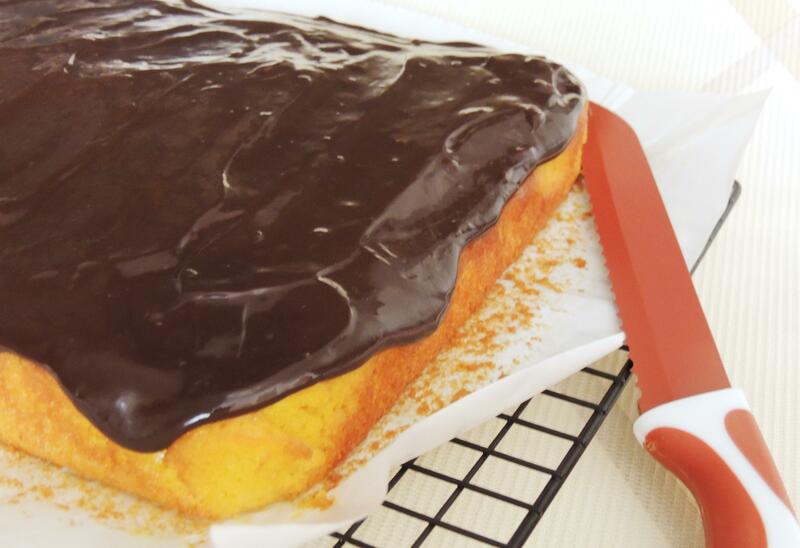 With all that chocolate, and the golden base, the top picture resembles a giant Jaffa Cake. Looks lovely. I once made a chocolate beetroot cake but don’t think I’ve ever mixed carrot with chocolate. 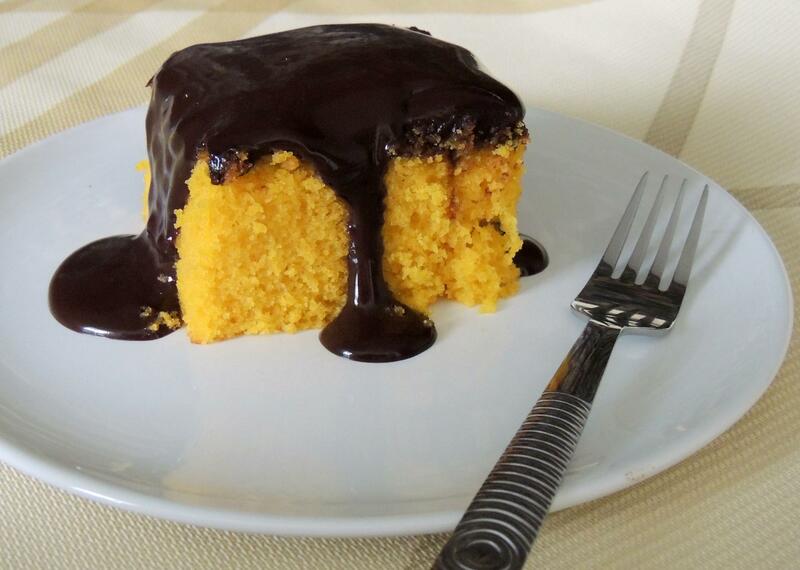 Now that you mentioned it, I see the resemblance with Jaffa cake 🙂 Next time you make a carrot cake try it with chocolate sauce. It’s totally worth it! I never would have thought of putting carrot cake with chocolate either, but I bet it’s really yummy! Carrot cake with chocolate sounds good to me! What a fantastic combination! Why has cream cheese become the go-to topping when chocolate looks so good?! I never thought of putting an iconic dessert with an iconic flavour! That sounds really intriguing. I’m always looking for new carrot cake recipes, and am sure that this would be lovely.